The foremost Italian orchestral composer of the late-nineteenth century, as well as an accomplished pianist and conductor, Giuseppe Martucci was one of a trio of pioneering Italian composers known collectively as Il ponte (The Bridge), who were determined to break away from opera�s dominance in Italian musical life. Together with Giovanni Sgambati and Antonio Bazzini, he established a connection between Italian instrumental music and Austro-German Romanticism. 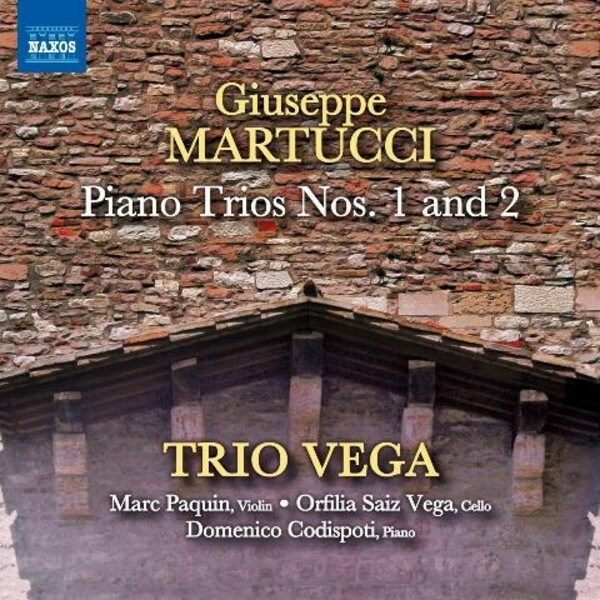 Perhaps nowhere is this better exemplified than in the two Piano Trios, which show the important influence of Brahms as well as Martucci�s gift for long-breathed melodies combined with pulsing lines and contrapuntal interplay.